Through minimum quantity lubrication (MQL) technology, small droplets of cutting fluid accompanied by compressed air are sprayed into the tool-workpiece interface. Hence, it offers effective lubrication/cooling and advances machining performance without using the significant amount of cutting fluids. Conversely, due to the biodegradable and non-pollutant properties of vegetable oils, these are widely employed as a base fluid in MQL technology. 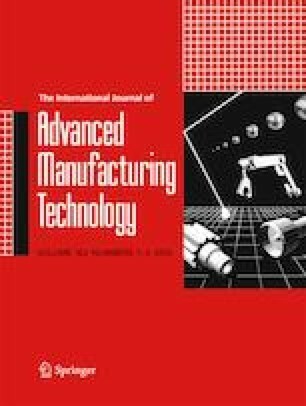 Considering the benefits of MQL-vegetable oil synergy, this paper aims to determine the best possible sequence of MQL milling parameters of Inconel 690 using castor oil as a lubricant. Here, response surface methodology (RSM) has been exploited to make a correlation between input and machining responses. To deal with the optimization problem, a two-stage computational approach was adopted. The first theory was non-dominated sorting genetic algorithm-II (NSGA-II) and the second method was technique for order preference by similarity to ideal solution (TOPSIS). NSGA-II has been exploited to explore for the candidate solution, and TOPSIS has been deployed to find out the best compromise solution. Finally, this manuscript compares the outcomes of the adopted approach with experimental outcomes to determine the efficacy of the proposed model. It was revealed from the comparison that the average error obtained between the predicted and the experimental response is less than 1%.